This is a list I created for those who not only want to improve their writing or storytelling, but read a few popular books as well. Laurie Halse Anderson is known for her beautifully candid writing style. Speak has been a controversial novel, due to its focus on sexual assault and the horrible repercussions it causes. This novel is magnificent not because of its storytelling, but because of the raw human emotion that can be found in its pages. Like Ship Breaker by Paolo Bacigalupi, this novel is action-oriented and has a desolate, but witty boy for a protagonist. Kenneth Oppel develops his characters well, and continually keeps up the action without overwhelming the reader. Like Speak, The Perks of Being a Wallflower is remarkably candid and just as controversial. To simply state it, it’s a story about growing up. But its simple style makes it remarkably real and personal. It seems like a light read, but its explorations into different themes makes it an extremely meaningful book. John Green has a remarkable way of writing. He creates vivid characters that are multi-dimensional and command your sentiment throughout the novel. His plots are simple, unique, and clear-cut. He explores topics that few authors even think about. It's no wonder that The Fault in Our Stars is on it's twenty-third week at #1 on The New York Times YA bestseller list. Allie Condie does not have the most remarkable writing skills. Her dystopian plot sometimes feels typical, with the classic love triangle and the rebellion against the oppressive government. However, Condie develops strong, whose hidden personalities are revealed slowly, making them seem even more three-dimensional. Although the two main characters in this novel are flat and even boring at times, Beautiful Creatures does an excellent job of creating a paranormal book that deviates from the stereotypical vampire trend. The House of Scorpion is another novel similar in style to Ship Breaker. It's plot, although lengthy, is unique and nicely structured. Its characters and setting are frighteningly real. Legend earns a spot with The Hunger Games and Divergent. The characters are witty and perfectly flawed, and the romance is sweet but not cloying. This Dark Endeavor is a thrilling and gothic prequel to Mary Shelley's Frankenstein. 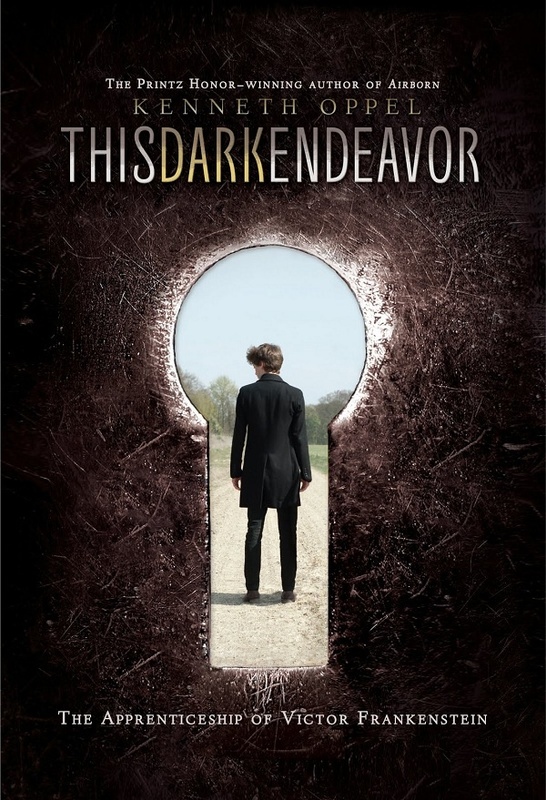 With a gorgeous storyline and relatable teen characters, Kenneth Oppel writes a novel that gives tribute to the 1800s classic and simultaneously emulates the unique flair of his earlier books. So, what's Avon's take on the book? I was excited to crack open This Dark Endeavor. I'd recently read Airborn, and was excited to return to Mr. Oppel's beautifully crafted settings. This Dark Endeavor certainly does not disappoint. Each of the characters is as well-sculpted as a Michelangelo, and wonderfully relatable as well. Victor Frankenstein, the main character, is a wealthy child growing up in the shadow of his twin brother. Throughout the novel, we see Victor glow green with envy every time his brother proves to be smarter, stronger, and faster than him. However, this element of Victor's personality does not overpower what is underneath. He is curious, naïve, and sometimes a bit stupid, as any sixteen-year-old boy would be. Most of all, he has a deep "passion" that is clearly obvious to the reader. Konrad soon falls ill, and Victor hunts for the Elixir of Life in the hopes of curing his brother of a rare, deadly disease. He seeks the expertise of Polidori, a poor, greedy alchemist who can help him brew the potion. With the help of his friend Henry and his beautiful cousin Elizabeth, Victor goes on midnight excursions for rare plants, explores underground caverns, and sacrifices himself for the sake of his brother. Throughout it all, he has a strange motivation that keeps him fighting until the end. And as a reader, you start to wonder: does he want the Elixir of Life just so that his brother can survive? Or is there a deeper, more selfish motivation behind it? When Konrad dies, his quest for immortality becomes his life, and the prequel ties in nicely with the classic. He was rash throughout the book, but now, he is on the brink of madness. By the end of the novel, we can see the insane doctor he will one day turn into. The one thing that I can't fully appreciate about the novel is the love triangle. It seems that the love "triangle" (more like the love 'v') is a common occurrence in YA literature, and authors seem to add it in just for the heck of it. Elizabeth is a well-rounded character. She's independent and reasonable; she bounces off of Victor and balances him out. However, the small sparks of romance between her and Victor seem to be added just for love triangle's sake, or to justify Victor's envy towards his brother (who is initially Elizabeth's lover). Their pre-Frankenstein romance does not develop the characters in any way. By the end of the book, it hardly seems to change their relationship, or tie in to the classic. Nevertheless, Elizabeth carries the plot forward, and it is clear that her existence has a deeper meaning. Overall, the book is gorgeous. The setting is vivid, and the characters are multi-dimensional. Three cheers for Kenneth Oppel! So, what did you think of the book? Am I right? Did I get everything completely wrong? Do I deserve to go to jail for this review? Tell me your thoughts! Characters are like Legos––whether you like it or not. You have to build them, stack them one on top of another, figure them out. I've written a novel, as well as plenty of short stories. I'm a voracious reader, and I enjoy collecting tips about plot and pacing. So what is one thing I have a good bit of knowledge about? Over the past year, I have picked up two major tips about building meaningful, realistic characters. I have used examples from the novels Legend by Marie Lu and The Help by Kathryn Stockett (yes, I know that they are completely different books, but they both have beautifully sculpted characters). Before I started writing my novel, I created an outline (as all writers do). I fitted my characters into the outline, and figured out how they would be woven in and out of the plot. I gave each character a back story, and then molded their personality around it. In Kathryn Stockett's The Help, each character is rich and beautiful. They have flaws, but not flaws that endear them to us. They're a mix of good and bad, and that doesn't make us love them. It doesn't make us hate them, either. They're more like normal people who we love at some moments and can't stand at others. Each character has a story, and we are aware that they go on with their own lives outside of the plot. It's the same way that people at school (or work) have different lives when they go home. And we are aware of that, even if we do not focus on it (because that would be *slightly* stalkerish if we did). Even though Hilly in The Help is cruel towards her maids and enjoys making other people miserable, she has a kind streak that stands out. When I first read the novel, I realized that she wasn't as evil as I'd made her out to be. One thing I love about Marie Lu's Legend is that she slowly reveals information about each of the characters, and the characters are slowly revealed information about one another. They don't know each other, and they enjoy figuring each other out. They offend each other, they make up, they figure things out. They share human emotions. And why is it so appealing? It's because we rarely experience "info dumps" about normal people in the real world. We figure things out slowly and steadily. And characters who figure out information slowly and steadily are more like normal human beings. They are more relatable. So, what do you think? Did I get everything wrong? Is there something I left out? Are my tips spot on? Leave a comment! 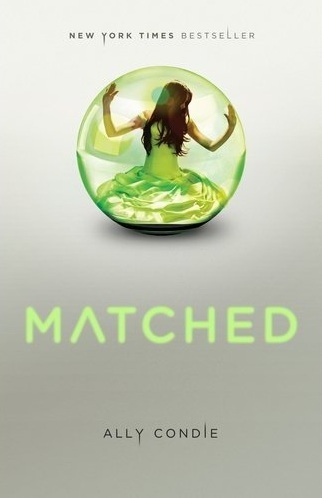 Matched is a dystopian love story with weak characters and an uneventful storyline. But Ms. Condie gives you just enough hope to keep you reading until the end. No wonder Matched is a YA bestseller: it has romance, it's dystopian, and––that's pretty much it. When I first cracked open the spine and decided to see what the hype was all about, I anticipated something that would be so-so. And that's precisely what it was. The book starts out with Cassia's "Matching Banquet", where her husband-to-be appears on the screen and she excitedly anticipates her soon-to-be perfect life in the Society. Of course, her best friend Xander is her Match. 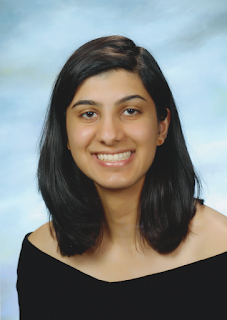 Like any dystopian heroine, Cassia starts out as naïve and accepting of her loving society. And then, like any heroine, she goes on to realize that her society is all wrong and spearheads a revolution that will reawaken the minds of her fellow citizens. And that's it. She has no personality traits that make her unique. As a reader, I'm not endeared to her. I know absolutely nothing about her, because I can't relate to her. She's patient, she's kind, she's a perfect human being. And sometimes perfection gets a bit boring. That's what the Society has given us: time. We live longer and better than any other citizens in the history of the world. And it's thanks in large part to the Matching System, which produces physically and emotionally healthy offspring. However, one element I love about Ms. Condie's writing style is that Cassia always seems to be talking directly to the reader. It's almost as though she's in the room with me. This is a difficult skill to pick up as a writer, and I have never been able to master it. I always enjoy these few seconds in the theater before a showing, when all is dark and I am waiting. I always feel a drop in my stomach––wondering if, when the lights of the showing come on, I might find myself completely alone. There is one element that I just can't accept about the book: those cheesy one-liners that pop in here and there and make me red with embarrassment. No one goes around thinking, "Some things are meant to be together" or "We go through a forest that is complicated and full of tangles and there are no stones to guide us except the ones we build ourselves". The only characters who can make such ridiculous statements are ones who have lived a hard life and have felt pain. Cassia is fed, clothed, and cleaned by the Society. She has never felt pain in her life. I feel as though Cassia has no right to act like such a deep character when there really is no depth to her at all. "What [color] are [my eyes] now?" he asks. He widens his eyes a little, leans closer, lets me look as long and as deep as I want. And there's so much to see. They are blue, and black, and other colors, too, and I know some of what they've seen and what I hope they see now. Me. Cassia. What I feel, who I am. "Everything," I tell him. "They're everything." The plot is slow moving and it never really gets to a boiling point. Cassia spends most of the novel trying to choose whom she loves more: Xander, the smart, cute one, or Ky, the dark and mysterious one (of course, what did I expect?). Meanwhile, the plot slips downhill. A bunch of "little incidents" occur that don't lead anywhere. Cassia gradually gets more and more annoyed with her oppressive government, but does absolutely nothing about it. Instead of rebelling, she hides her mutinous thoughts and rants to the reader. She kisses the boy she loves and is let off with a warning. She falls on the treadmill and scrapes her knee. Talk about someone as badass as Katniss Everdeen. By the end, her true love ends up being sent off to war and she moves to the country in hopes of finding him. She's passive and I can't get past that. In fact, almost the entire book is passive. Overall, Matched is a weak novel. It's typical, and it's near impossible to get past its weak characters. Nevertheless, Ms. Condie's writing style blows me away. I love Cassia's voice and her outlook, and the way I can almost reach into her fictional world. So what did you think of the book? Am I right? Did I get everything completely wrong? Do I deserve to go to jail for this review? Tell me your thoughts! 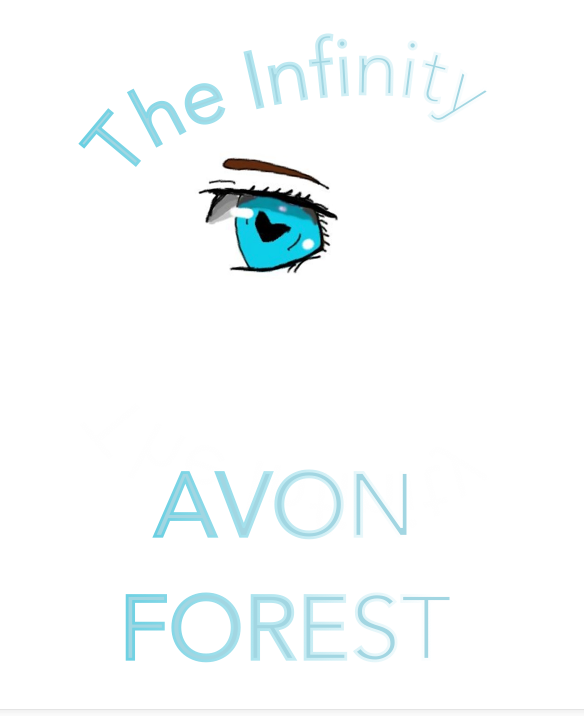 The Infinity Has Been Released! Unfortunately, you will have to make an account before buying (but it only takes a couple of minutes). 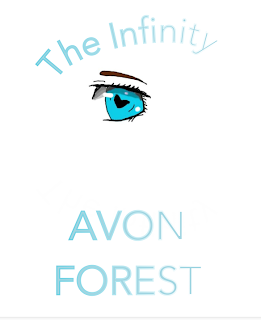 Fourteen-year-old author Avon Forest embarks on her writing career with her debut novelette, The Infinity. Doe was a typical teenage girl. She had an eccentric biology teacher, she went to band practice after school, and she always wished her life wasn't so boring. But Doe ends up meeting a group of strangers that make her life anything but dull and monotonous. She is swept up in a chase across time, and suddenly her life is entwined with the very people she once called kidnappers. Throughout all this, Doe realizes that every human being is a mixture of good and bad, and that love is the one thing that glues time together. While I was writing my book, I was constantly stressed out about it. I needed to finish the chapter. I needed to format the book properly. I needed to promote it. I needed to get feedback. I needed to make changes. But I've realized that my book isn't the end (or the beginning) of the world. I wrote it because I wanted to, not because I had to. So why am I stressed out about it? I write for relaxation, so writing this book should had been relaxation for me. Don't let the stress of writing a book take over you. Think of it as fun, because that's exactly why you started writing it in the first place. Relax, because you will finish your book. And even if it's not successful, at least you did it. You accomplished something that few people ever dream of doing, and that's what counts. So here it is: my first novel. Some time ago, I decided to write a book about a girl who was kidnapped by a group of time travelers who were running away from a madwoman who wanted to use their DNA to save the world. But eventually my boring life blended into their story, and now I can barely remember my life before meeting them and getting to know them as the characters you will meet in this book. My life is tangled in theirs––it always was, I guess. And surprisingly, after writing about this group of crazy people, I learned a lot about myself. In fact, in very loose terms you could say that I found out who I really was. I'm still kind of figuring things out––I can't tell you exactly what I'm figuring out. But if you really would like to know, I'll just tell you that I'm doing ok. Everything's ok. When I got my book deal for this novel (the one that you're currently reading), they asked that I write it as though I was writing a young adult fiction novel. And I did. And here it is. But when I wrote this introduction, they told me to cut it out. And I said no. The only way an author can directly connect to her readers is through the author's note. And I wasn't going to let them take that away from me. Then they asked me that I at least modify the last line. And I said no. You see, this is my story. Well, this is more like our story. I view my book characters as children. Like a parent, I control their faith. I can either screw them up or transform them into a person who can positively change the world. I put myself into my characters, and even though they are their own unique human beings, they will always carry a piece of me with them. And I will always carry a piece of them with me. And one day, when I've finished my story or novel, I will have to say goodbye to them. And that will probably be one of the most bittersweet moments of my life. I can't write emotional romance. You see, my characters are special to me, and I don't want to expose them to the heartbreak and heartache they will experience in the big, bad world of writing. Sure, they can be near-shot to death, or be forced to survive two weeks without food. But that's physical pain. It gets better. Emotional pain doesn't. And physical romance? God, that itself is its own story. "Oh god, no! It's too early! They barely even know each other! What if they break up? Why would you kiss someone you're going to break up with in the future?! If they're not the right one, why kiss them? *shudders*"
I do not consider myself as a cynical human being. But in terms of love, I am. Especially when it comes to writing. I have attempted to seek this same dilemma in other writers' lives. But it seems as though I am the only one. So if you see me shuddering while at the laptop, you know what kind of scene I'm trying to write. I am a 14 year old writer who loves to give advice on how to make an essay or story a little bit more interesting. Want to be Notified When I Update?